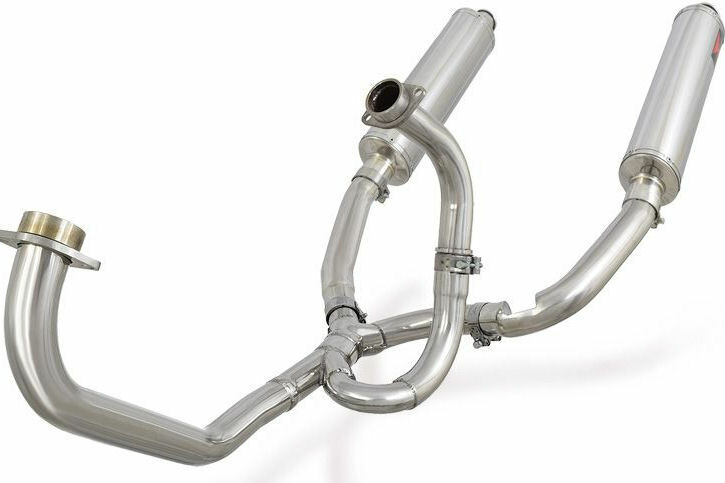 Interesting, but I'd want to see a dyno for almost $700+shipping. Sure, forget flow, just make 'er pretty! And, is that a stock header? We have specially designed the left side Link pipe to allow the chain to run over it without touching, some of our competitors do not, so be aware of this. Yeah, there is a reason "competitors" don't do that. Last edited by CruxGNZ; 05-24-2016 at 07:31 PM. I thought that was a photoshopping error. Wow. A 2 to 1.5? Interesting. Have never seen that kind of restriction. I'm in between, they definitely shot these then edited them digitally. That part would be reflecting white and someone going fast could easily accidentally cut it out wrong in Photoshop while editing the picture. NEVERMIND, wow how did they include that..
Looks almost like they copied the design of the stock one and made it from new material. Nobody would continue to make and use those stamped bends. Those have to be used headers made to look nice. Hmmm... I wouldn't jump to buy it until they come up with Dyno test, looks a bit suspicious to me. 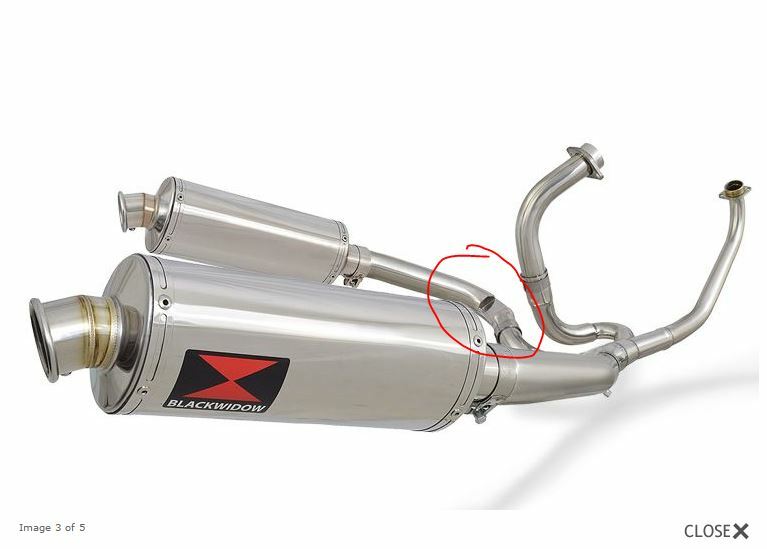 I don´t see the reason to buy anyway, seems to be exactly the same design as oem pipes ... Btw, stock left can have this restiction on the link pipe as well, but not this sharp shape. A lot of bikes have that restriction in the left link pipe from stock. My Brothers TL1000S had it. If these folks made some overbored headers I would be interested. The notch you mention is for chain clearance, and doesn't affect the performance, in fact the oem Honda headers have more affect on flow than our linkpipes. Unfortunately we don't have any dyno readouts at present. Big HMMM on that one! Maybe they too saw the Engine Masters episode with denting the pipes? FS Two Brothers Full exhaust. And full stock pipes as well. Quick Reply: Full exhaust systems!